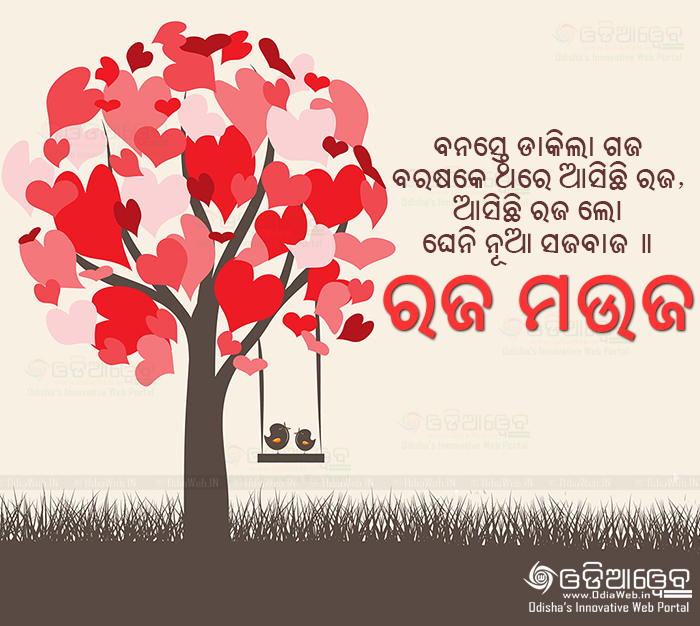 Latest Odia News Get latest odia news information here. Raja is Odisha’s biggest festival after Ratha Yatra. Do celebrate this festival wish your family and friend and don’t forget to share this with your friends and families. Share this Raja Greetings on WhatsApp and facebook directly by downloading the image. Goto full list of Raja wishes for 15 new Raja festival wishes.